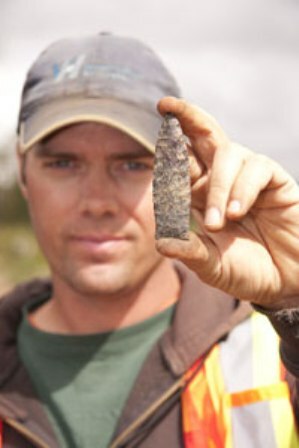 On Saturday, September 24, 2011 the Northern Lakes Archaeological Society (NLAS) is hosting a presentation by Dave Norris, of Western Heritage Services, Inc. Norris has been excavating a large archaeological site just outside of Thunder Bay, Ontario. The lecture is titled Archaeology in Thunder Bay: How Modern Day Travel Corridors are Finding Ancient Ones. The event will be held in the Superior Public Library, 1530 Tower Avenue, Superior, Wisconsin at noon. For those who are geographically challenged, Thunder Bay, Ontario is just 40 miles from the Minnesota border and Superior, Wisconsin is across the bay from Duluth. The Mackenzie 1 Site is a large late Paleo-Indian site located about 20 kilometers northeast of Thunder Bay. 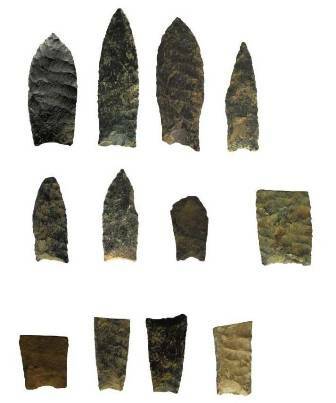 Among the thousands of artifacts the excavators have recovered there are over 100 projectile points plus other tools all made primarily of jasper-taconite, a locally available stone. The site is being excavated prior to the construction of a new four-lane highway between Thunder Bay and Nipigon, Ontario. 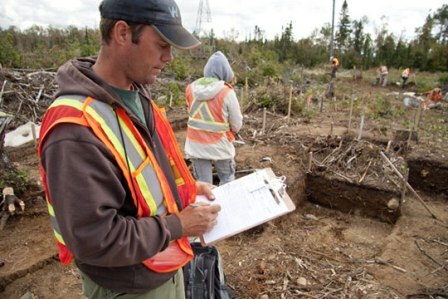 The Mackenzie 1 site is one of several Paleo-Indian sites that have recently been discovered east of Thunder Bay. All are located on what once was the shoreline of Lake Minong, an enormous, glacial lake that predated Lake Superior. The main focus of the talk will be Mackenzie 1, but the other sites will also be discussed. The event is free and open to the public. This link will take you to a short article about the excavation.